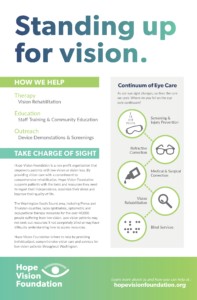 Hope Vision Foundation will contact your patient and connect them to appropriate services including Washington State services and the VA. We always emphasize compliance with their medical and surgical care plans and regular follow up. 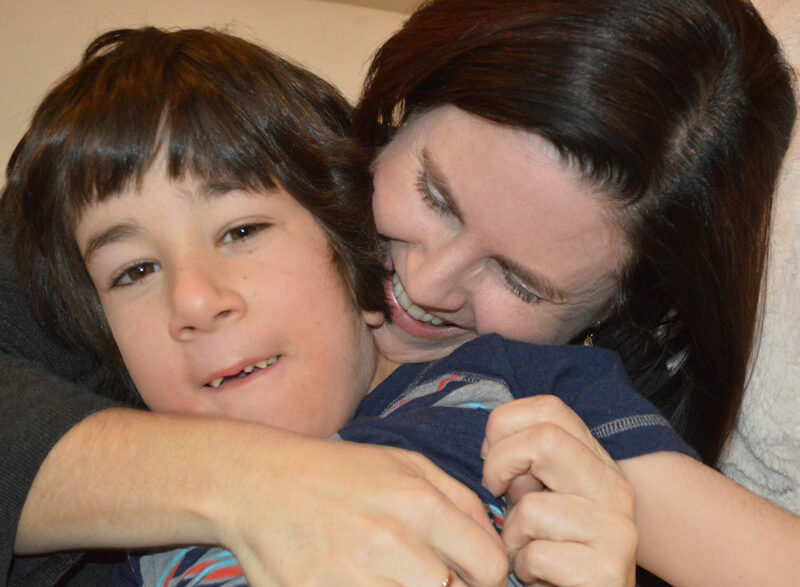 Support this resource! Become a Community Partner. The Future of Vision Rehabilitation! 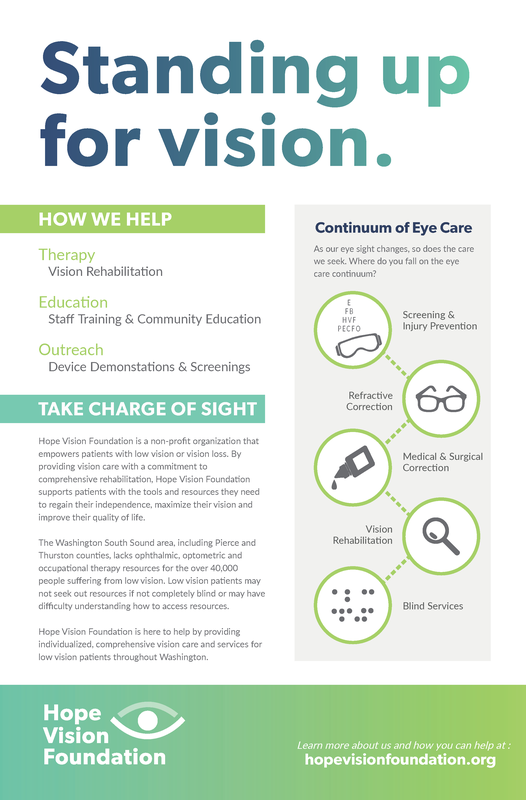 Hope Vision Foundation aims to fund a mobile device lending library and recruit a multidisciplinary low vision rehabilitation team. 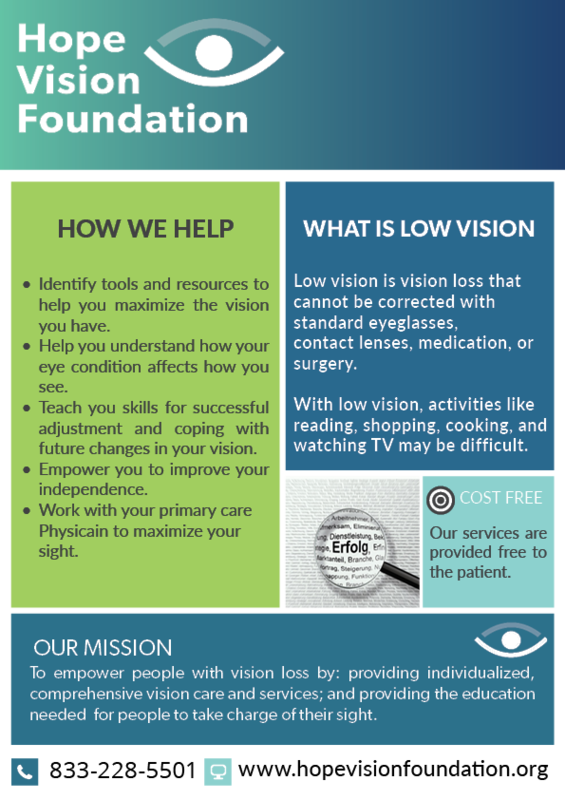 This will improve local resources and provide your patients with a comprehensive vision rehabilitation plan. 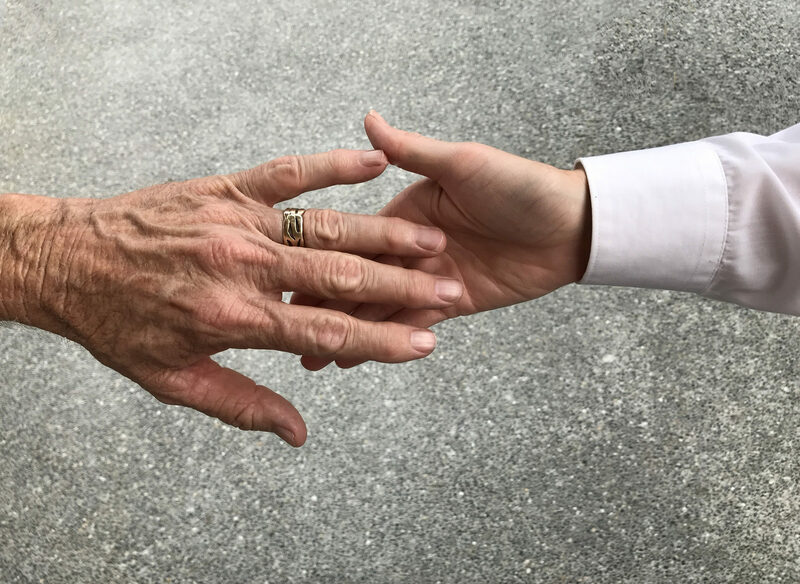 Our Occupational therapists will empower your patients to improve their daily living skills to increase their independence inside and outside of their home. Confidentiality Notice: The information contained in this transmission may contain privileged and confidential information, including patient information protected by federal and state privacy laws. It is intended only for the use of the person(s) named above. If you are not the intended recipient, you are hereby notified that any review, dissemination, distribution, or duplication of this communication is strictly prohibited. If you are not the intended recipient, please contact the sender by reply email and destroy all copies of the original message.